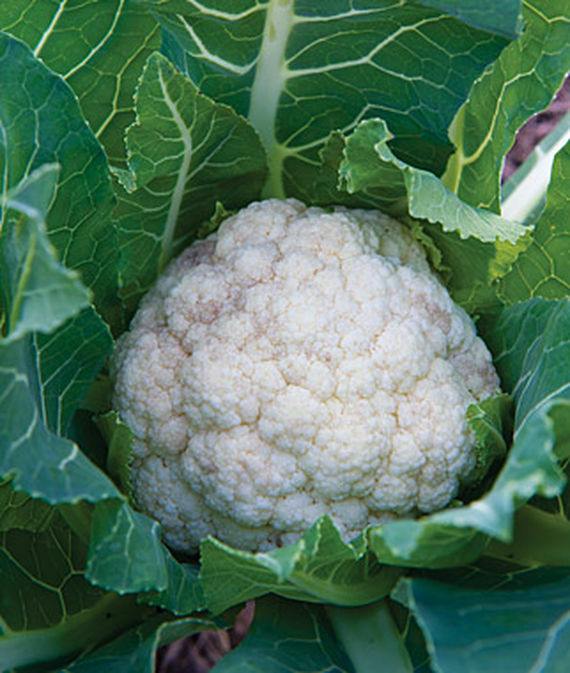 In a recent article, we discussed the challenges of growing cauliflower, Brassica oleracea var. Botrytis. 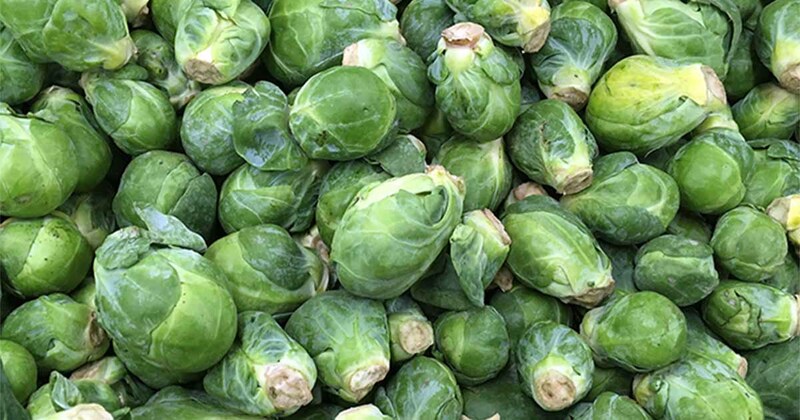 We determined that with close attention to temperature, moisture, drainage, and air circulation, there’s every reason to expect success with this cold weather crop. 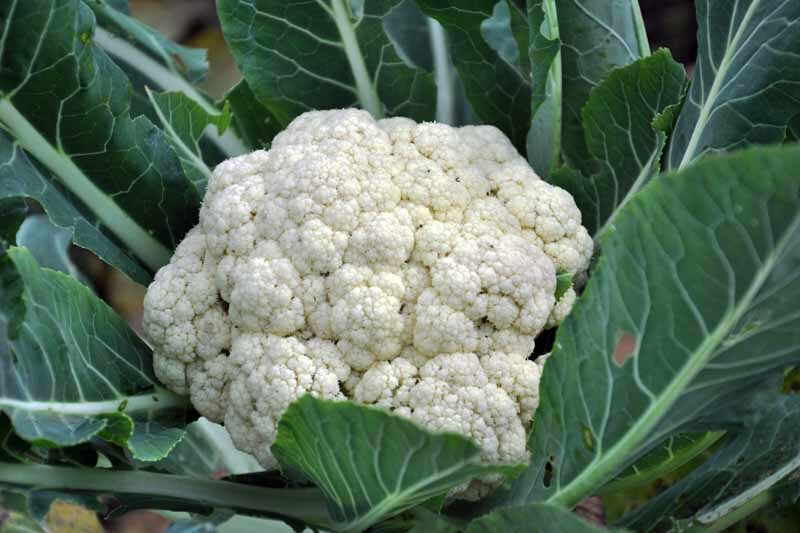 Cauliflower may be traced back to fifteenth-century Cyprus, where it began as a mutation of a type of wild cabbage. 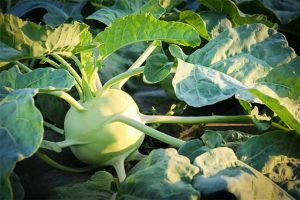 Through the centuries, this new-found vegetable began to adapt to the climates of the places in which its seeds were cultivated. 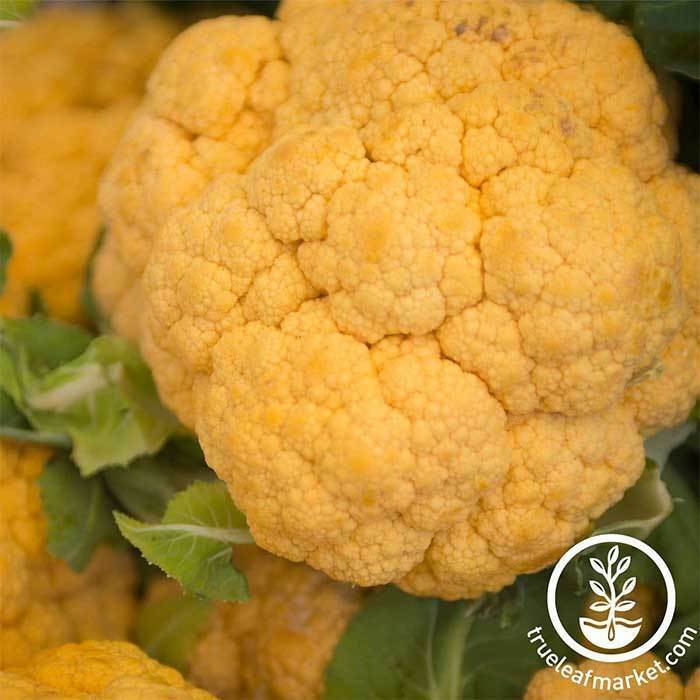 Europe and India are two locations where these “original” cauliflower varieties became a staple food. 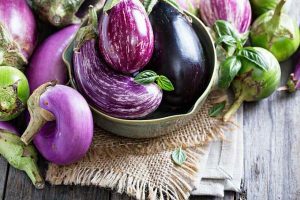 Today’s hybrids and cultivars are the result of cross-breeding and further genetic mutations that have produced qualities like new colors, smoother heads, higher nutrient contents, and increased disease resistance. 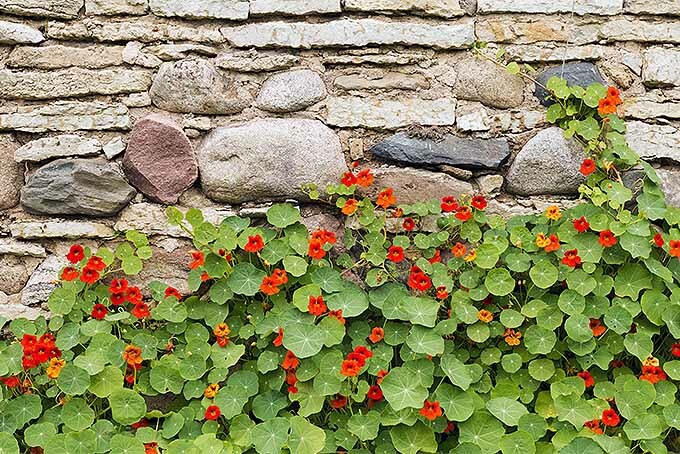 Look for these characteristics when you choose varieties for the home garden. 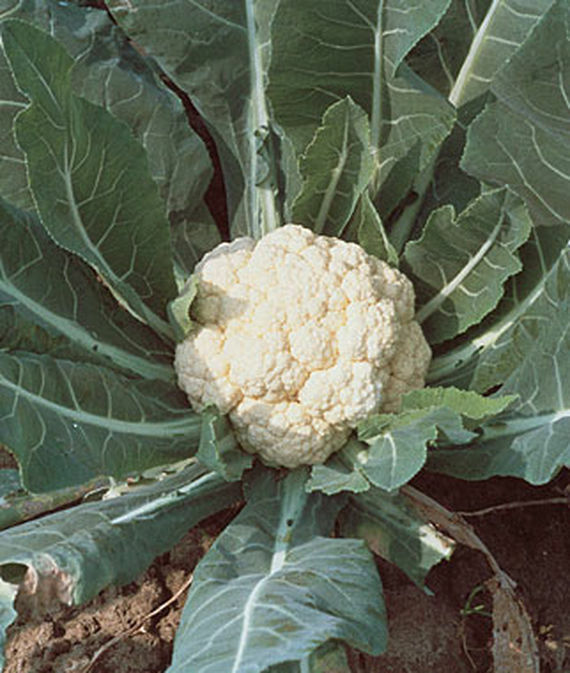 Cauliflower grows in USDA Hardiness Zones 2 to 11 as either a half-hardy biennial or an annual. It’s rich in antioxidants, vitamin C, and fiber. The Attribute Hybrid is an early variety that matures in 60 to 70 days. 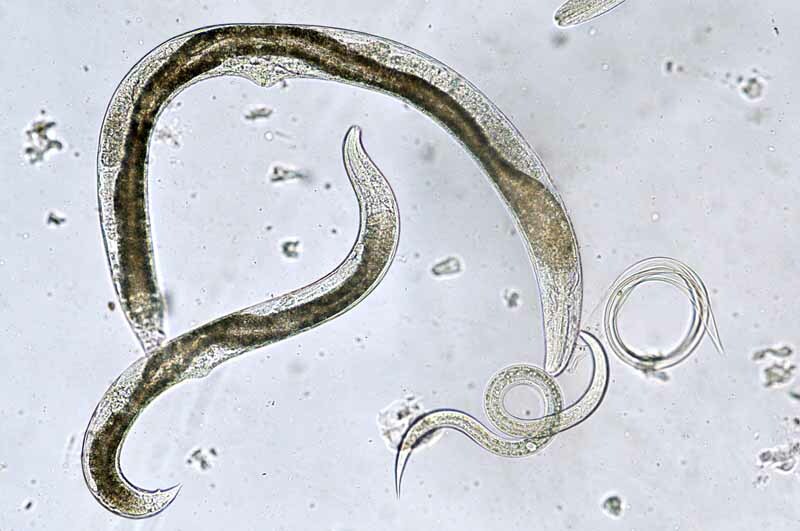 It has smooth, bright white heads that reach a diameter of approximately 7 inches. Its flavor is savory, with nutty/buttery undertones. Topping out at about 24 inches, this type withstands light frost and some heat. The leaves curve well for self-blanching, which helps to naturally protecting the developing flower heads. The Attribute Hybrid is available from Burpee. Choose from packets of 50 seeds, or a set of 6 plants in containers measuring 1.5 x 1.5 x 2.5 inches deep. The cheddar hybrid is an early orange variety that matures in about 60 to 70 days. 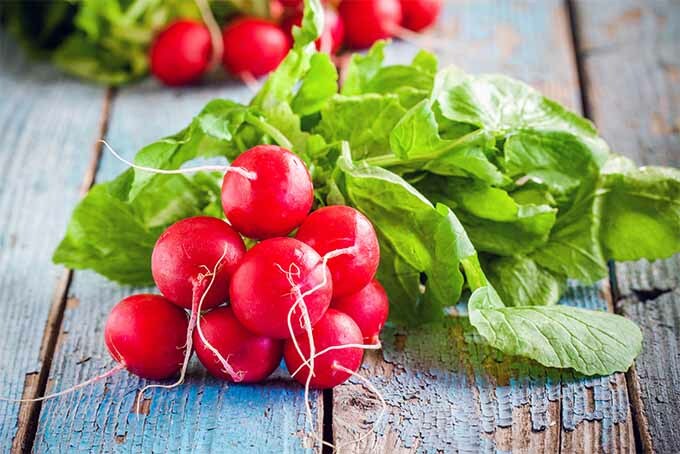 It has smooth, uniform, 4- to 7-inch heads that contain nutritious beta-carotene and deepen in color when cooked. The flavor is mild and sweet. This variety may reach a height of 24 inches. 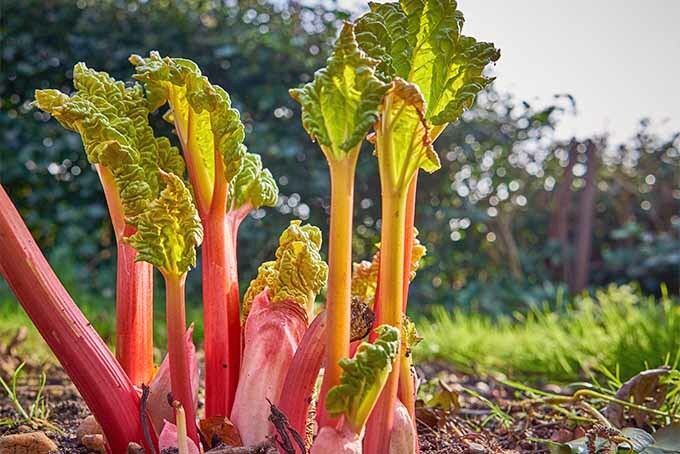 No blanching is required to retain its vibrant color. Find Cheddar Hybrid seeds at True Leaf Market in packages of 100. Purple florets on white stems characterize the unique Depurple Hybrid. It matures in approximately 80 to 100 days, and it’s worth the wait. 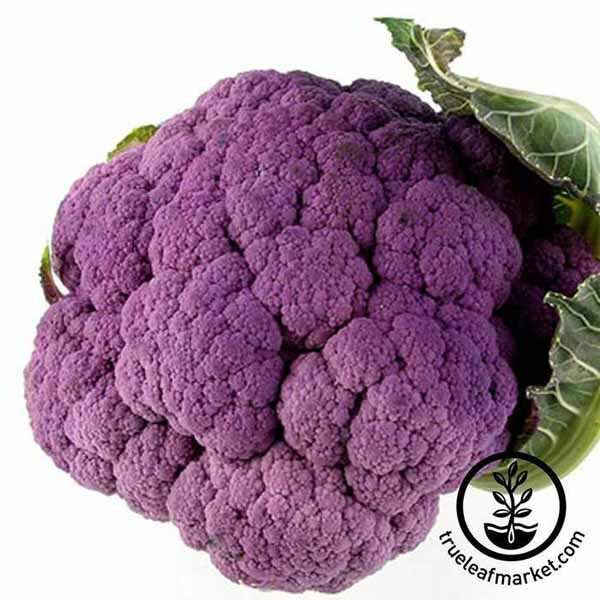 Dense, 6- to 7-inch heads contain antioxidant anthocyanins, with flavorful hints of butter and nuts. 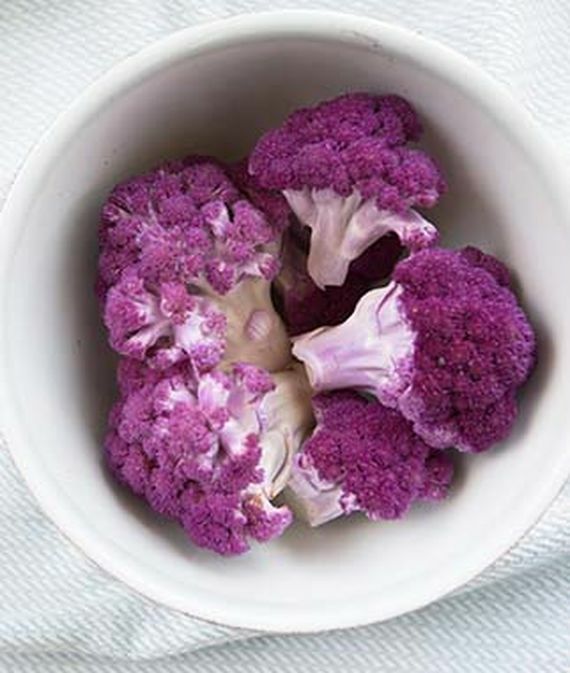 Some purple types turn green during cooking, but you may try adding vinegar or lemon juice to aid in color retention. Expect a mature height of about 20 inches. 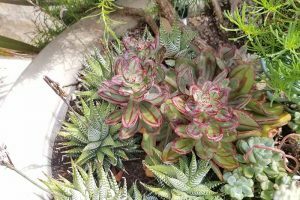 No blanching is required to retain color during growth. Depurple Hybrid seeds are available from Burpee in packages of 30. Or, you may buy a set of 6 plants in containers that measure 1.5 x 1.5 x 2.5 inches deep. For a robust and fast-growing option, consider Early White Hybrid. It may mature in as few as 52 days, and produces tight, pure white heads that measure up to 9 inches across. This variety exhibits more cold tolerance than average, and may reach 30 inches in height. 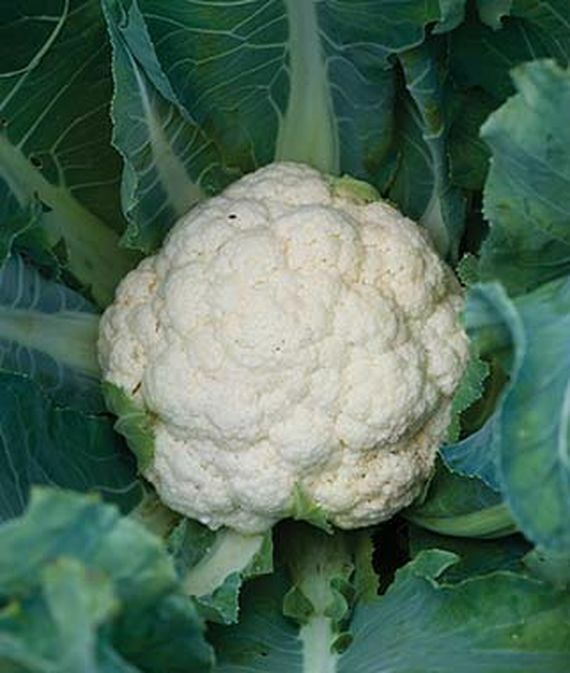 Firmness and a classic mild cauliflower flavor characterize this winner. Early White Hybrid seeds are available from Burpee in 100-count packages. Here’s an early type that matures in 33 to 60 days, making it a good choice for spring. This is a “sprouting” variety, with 5- to 6-inch heads made up of loose white florets on long, light green stems. It resembles broccoli rabe. 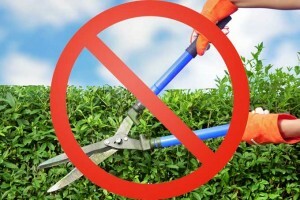 Plants top out at about 18 inches and are highly pest resistant. The flavor is somewhat nutty, and the texture holds its crunch well, remaining crunchy even after cooking. Blanching is recommended. Fioretto 60 is available from Burpee. Choose from packets of 50 seeds, or a set of 6 plants in pots measuring 1.5 x 1.5 x 2.5 inches deep. Like the variety above, Fioretto 85 has 5- to 6-inch heads of loose, white florets with light green stems. 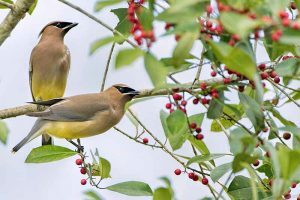 However, it requires 45 to 85 days to mature, making it a good choice for fall. It, too, tops out at about 18 inches, is highly pest resistant, and has a nutty flavor and crunchy texture. Blanching is recommended. Fioretto 85 is available from Burpee in packets of 50 seeds, or sets of 6 plants in pots that measure 1.5 x 1.5 x 2.5 inches deep. 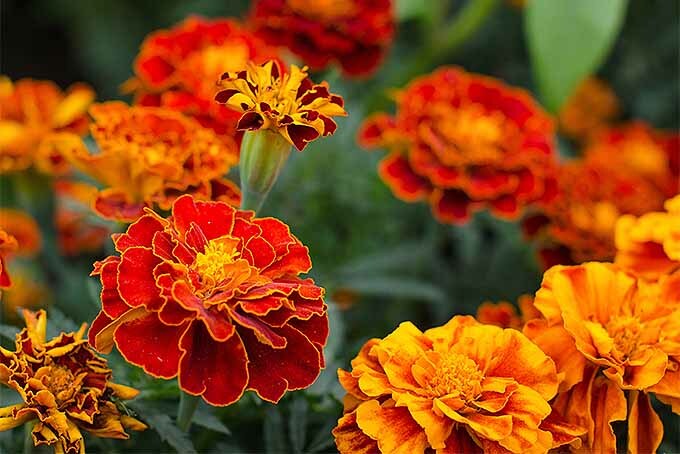 Paler than cheddar types, Flame Star Hybrid is an early orange option that matures in approximately 55 to 60 days. Its heads are firm, with dense, smooth curds and a diameter of about 7 inches. This type exhibits better than average heat tolerance and reaches a height of about 14 inches. 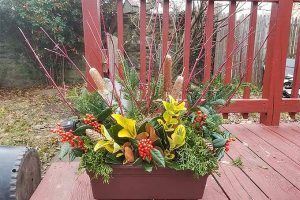 Consider this compact type for container gardening and small plots. It has an exceptionally sweet flavor and requires no blanching. Flame Star Hybrid plants and seed are available from Burpee in packets of 50 seeds, or sets of 6 plants in pots measuring 1.5 x 1.5 x 2.5 inches. This purple beauty matures in 70 to 80 days. The Graffiti Hybrid has a surprisingly bright purple dome of dense curds that reach about 6 to 7 inches across. It has better than average tolerance of humidity and fungal disease, and tops out at approximately 24 inches. 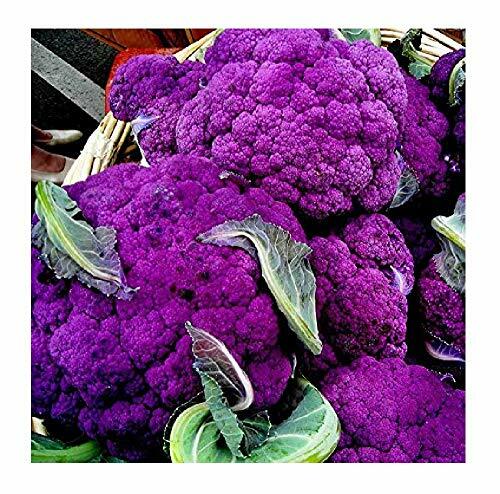 Antioxidant anthocyanins boost the nutrition of this colorful variety that has a mildly sweet flavor. No blanching is necessary. Graffiti Hybrid seeds are available from True Leaf Market in packages of 100. This heirloom white harks back to the “originals” in Europe. The Self-Blanching Snowball matures in 65 to 75 days, and its leaves protect developing heads ranging from approximately 6 to 8 inches across. 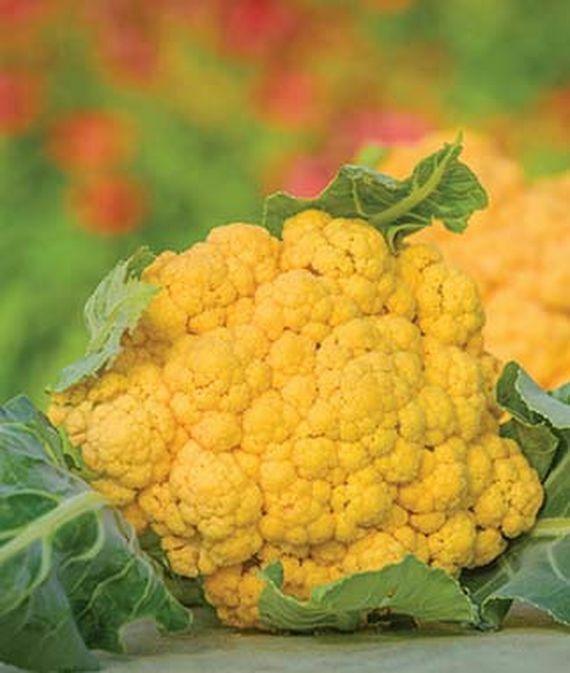 This traditional variety reaches a height of up to 30 inches and has a mild flavor. Self-Blanching Snowball seeds are available from Burpee in packages of 100 or 500. Another European “original,” Sicilian Violet is an Italian heirloom that matures in approximately 80 days. Its deep purple domed heads reach about 6 to 7 inches in diameter and are rich in antioxidant anthrocyanins. Insect resistant, this variety is tolerant of light frost and tops out at 18 to 24 inches. 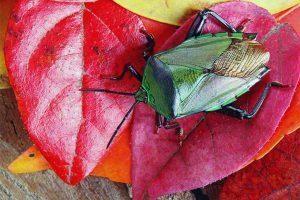 Its flavor is sweet, and its color may change to green during cooking. Blanching is not required. 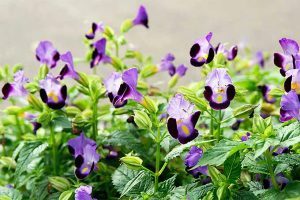 Sicilian Violet seeds are available from David’s Garden Seeds via Amazon in packages of 100. An heirloom variety originally developed in France, the Snowball Y matures in about 70 to 80 days. Heads are smooth and compact, with pure white curds that reach a diameter of about 6 to 7 inches. 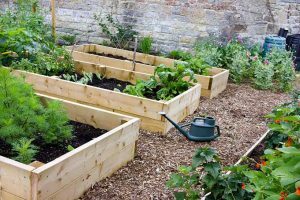 Plants top out at 24 to 30 inches, and abundant leaves generally provide for self-blanching. This type has a pleasantly mild flavor. Snowball Y Organic seeds are available from Eden Brothers. 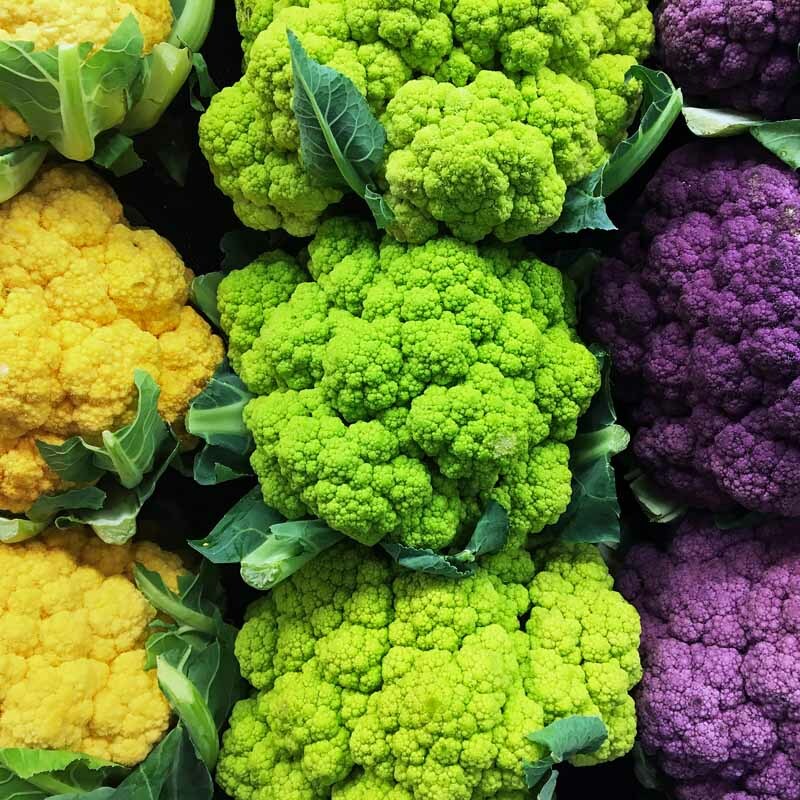 The Veronica Romanesco Hybrid is a cross between cauliflower and broccoli that matures in about 85 days. Heads measure approximately 7 inches across, and consist of unusually pointy and visually interesting lime green whorls of curds that develop in a fractal pattern. Plants reach a height of 18 to 24 inches. 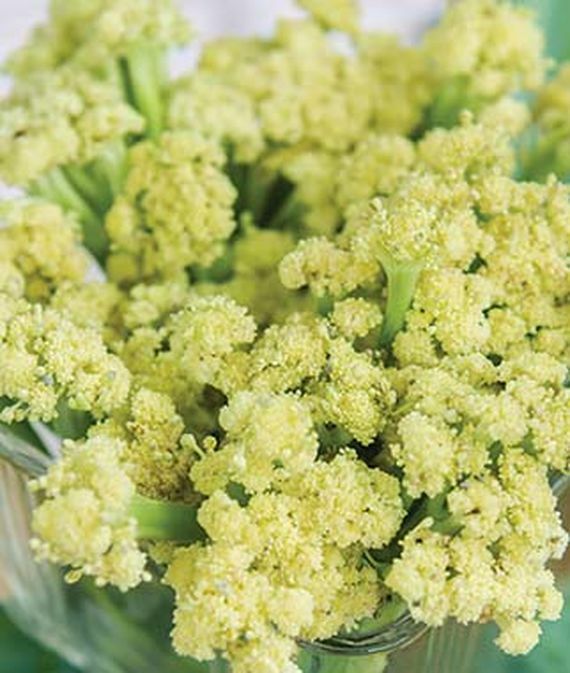 Sometimes called “broccoflower,” this unique vegetable has a mildly sweet, savory/nutty flavor. 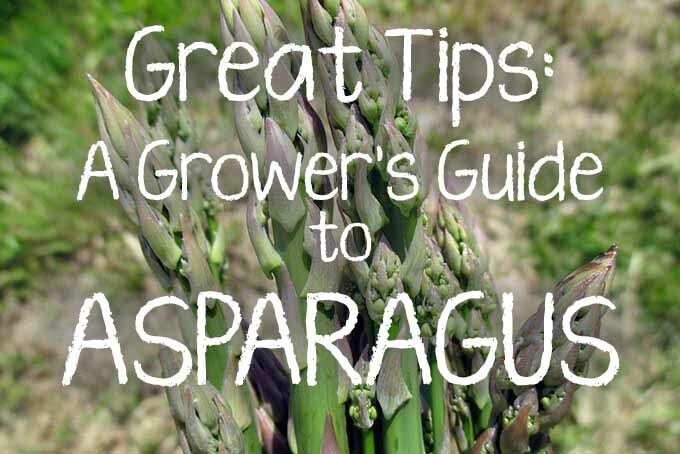 It has been bred for better than average resistance to fungal disease and heat, and blanching is not required. 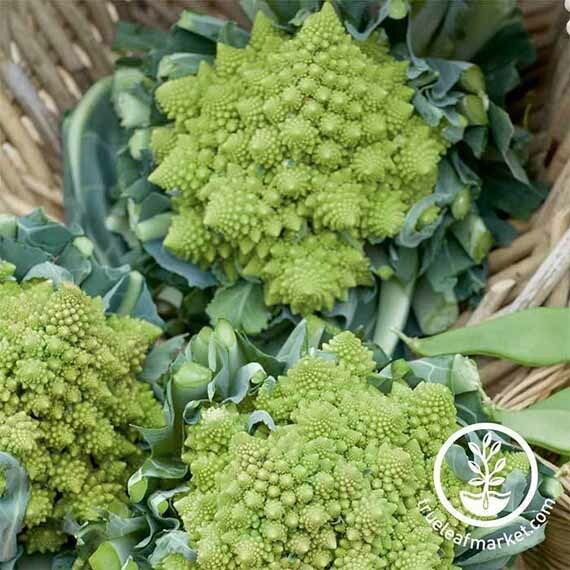 Veronica Romanesco Hybrid seeds are available from True Leaf Market in packages of 100 or 1,000. 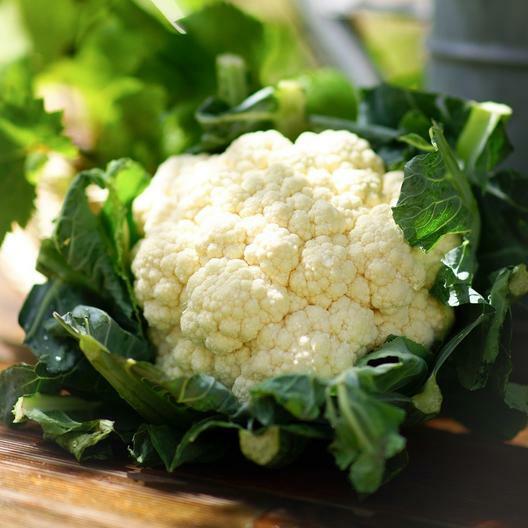 If you’re looking for a fast-growing traditional white cauliflower for a container or small plot, this one’s for you. The White Corona Hybrid matures in 30 to 33 days. Its bright white heads measure 3 to 5 inches across at maturity. 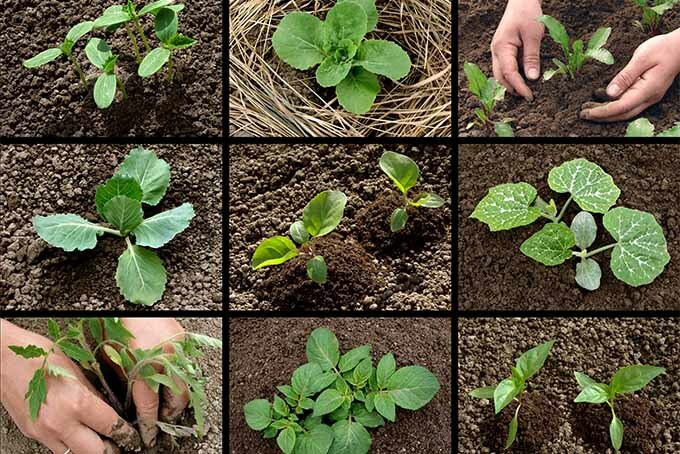 Plants top out at a compact 12 to 14 inches and may tolerate a light frost. Blanching may be required. 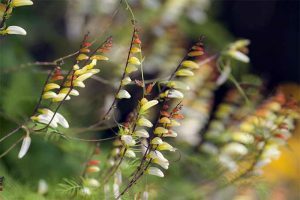 The White Corona Hybrid is available from Burpee in packages of 100 seeds, or sets of six plants in pots measuring 1.5 x 1.5 x 2.5 inches deep. 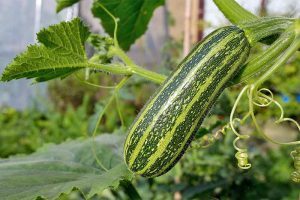 Have you chosen the varieties you want to order for this year’s vegetable garden? 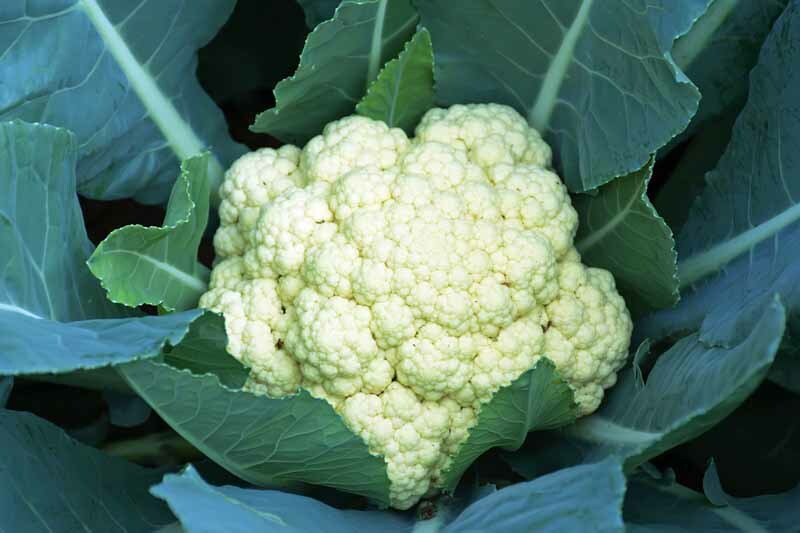 While you’re waiting for them to arrive, be sure to read our article on how to grow cauliflower. Cool temperatures, moisture, drainage, and air circulation are essentials to remember. 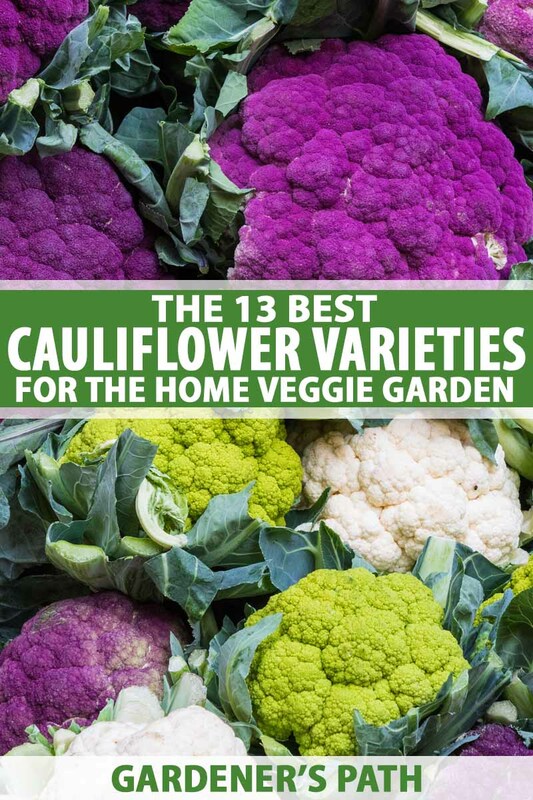 We also invite you to visit Foodal, our sister site, for delicious cauliflower recipes the whole family will love, like Vegetarian Cauliflower Enchiladas with Poblano Cream Sauce, and Grain-Free Cauliflower “Fried Rice” with Cashews and Coconut. 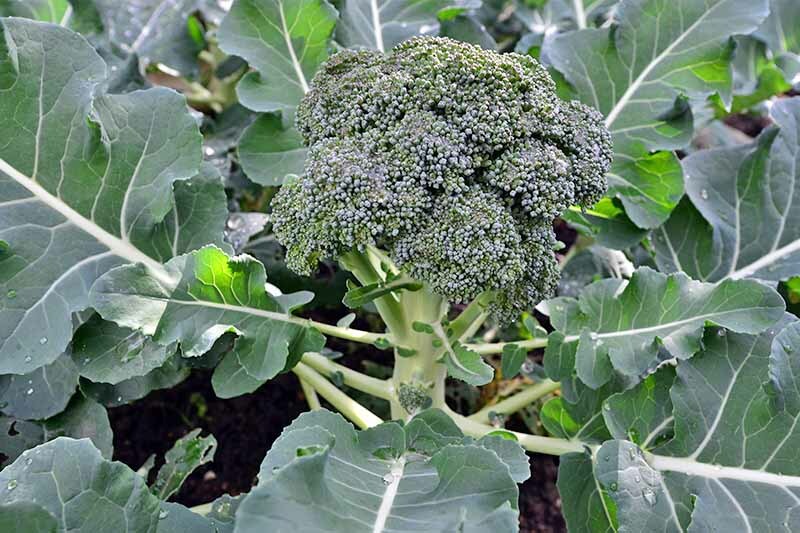 For information on growing additional cold weather crops, please consult our articles on growing broccoli, kohlrabi, and kale. Product photos via David’s Garden Seeds, Burpee, Eden Brothers, and True Leaf Market. Uncredited photos: Shutterstock.